George Clymer was born in Philadelphia in 1739. His father Christopher Clymer, a sea captain and an Episcopalian, and his mother Deborah Fitzwater, a disowned Quaker, died by 1746. As a result, Clymer was raised by his aunt Hannah Coleman and her husband William Coleman, a wealthy Quaker merchant and one of Penn’s founders and first trustees. After apprenticing in an accounting house, George Clymer established himself as a merchant in the late 1750s. He came into a substantial inheritance at the death of his uncle in 1769. In 1767 Clymer was made a City Councilman, and later a City Alderman. An early supporter of independence, he served on a number of local revolutionary committees and in 1775 was appointed a joint treasurer of the fledgling nation. As an elected member of the Continental Congresses, Clymer signed the Declaration of Independence. 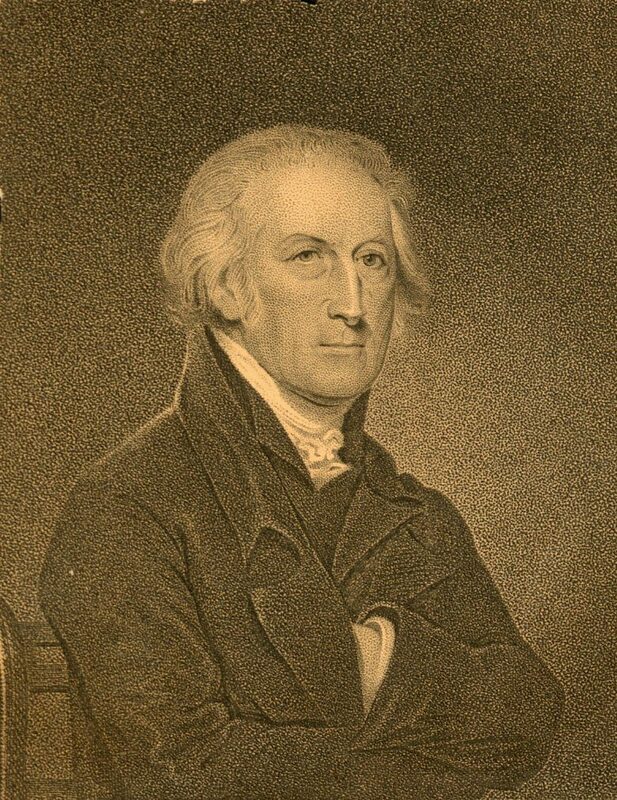 After the Revolution Clymer served as a member of the Pennsylvania Assembly (1785-1788), and later as a member of the Constitutional Convention. Under the new government, he served as a Pennsylvania representative to the first U.S. Congress. During the 1790s he was appointed a federal collector of excise taxes and as a negotiator of a treaty with the Creek and Cherokee Indians. After retiring from public life, Clymer served as the president of the Pennsylvania Academy of Fine Arts and also of the Pennsylvania Bank. Clymer was elected a trustee of the Academy and College of Philadelphia in 1779, serving in that capacity until 1791 including a stint in 1779 and 1780 as the board’s treasurer. He did not serve as a trustee of the University of the State of Pennsylvania during its existence from 1779 to 1791, but at the union of this institution with the College he was elected trustee of the resulting University of Pennsylvania. He served until his death in 1813.